Limited Lifetime warranty. Need help Please contact VIGO customer support at 1-866-591-7792. 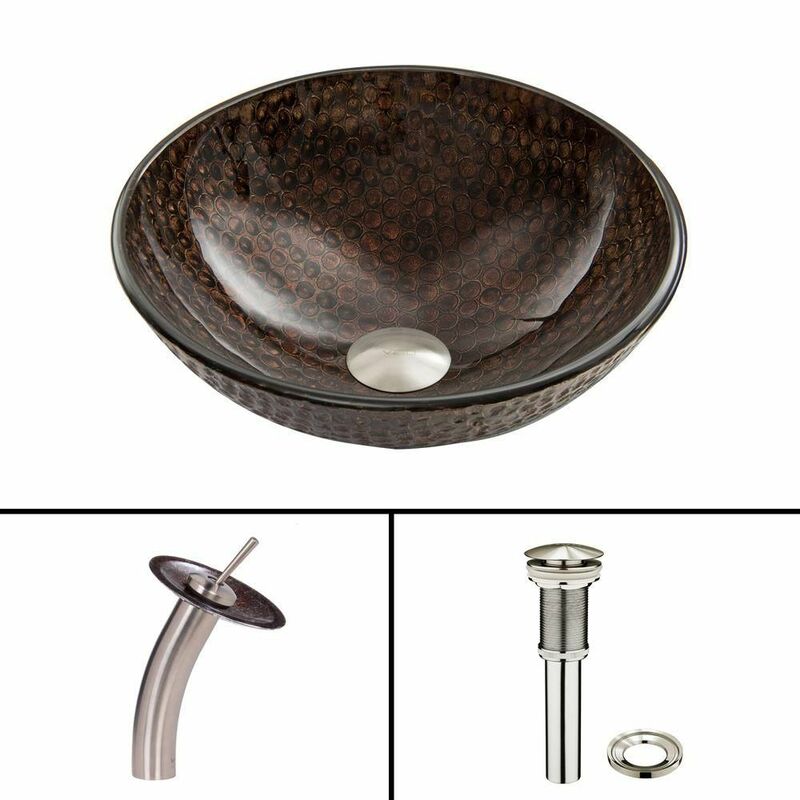 Glass Vessel Sink in Copper Shield with Waterfall Faucet in Brushed Nickel is rated 5.0 out of 5 by 1. Rated 5 out of 5 by awall1 from Beautiful sink! I haven't had a chance to install both of my sinks just yet, but they are truly beautiful!! Better than I expected them to look. Heavy, good quality for a GREAT price! Beyond happy with my purchase.